No bake small Cakes with cinnamon. Recipes from Russia. No bake small Cakes with cinnamon. 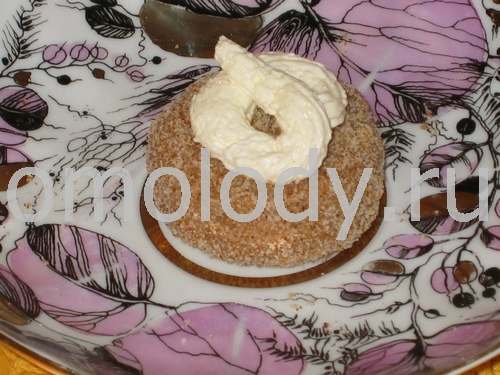 No Bake delicious small cakes are so easy and so tasty. 600 g (1,3 lb) common cookies, grated (make crumbs). 1 - 2 tsp cinnamon. 1. Put sugar into a pan, pour over milk and stir thoroughly until sugar dissolves. Boil the mixture. Chill. 2. Beat butter! Use food processor. Whisk softened butter with sweet milk. Gradually add sweet cold milk to the soft butter, to create a smooth whipped mass. 3. In a mixing bowl mix (500 g / 1,1 lb) cookies crumbs, cinnamon and vanilla with sweet whipped butter. 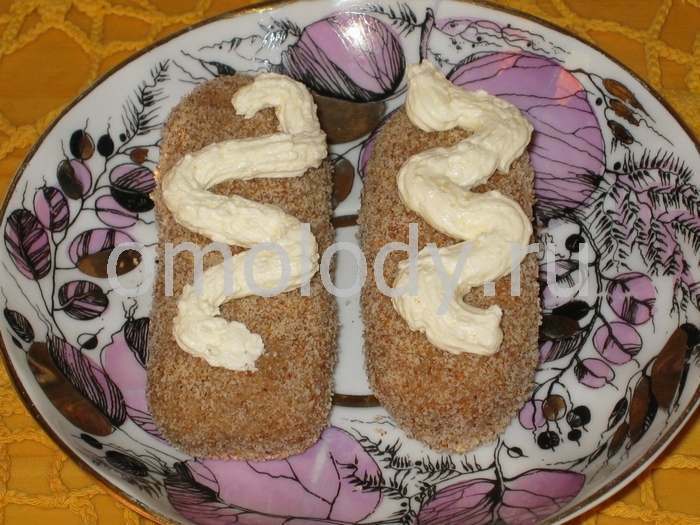 Shape the mixture into balls the size of medium potato and coat with cookies crumbs (100 g / 3,5 oz). Refrigerate.